Life is busy, right mama? We have little people to take care of, husbands to love on, businesses to run, and don’t forget a little self care! I know from experience that feeding our little ones healthy snacks can be stressful at times. We tend to think about dinner, and occasionally lunch and breakfast, but snacks can go by the wayside. 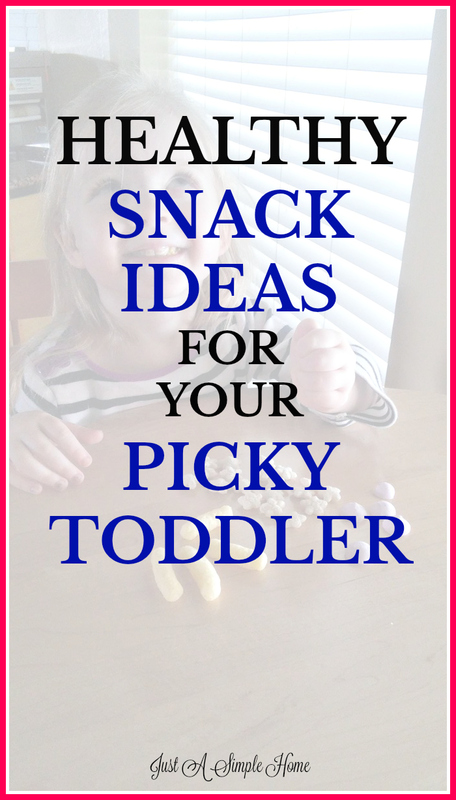 Toddlers love to snack…they graze all day long! That grazing is actually healthier for them in the long run, so don’t stress about that. I have put together a list of healthy snacks that my toddlers have loved over the years, and I hope it helps you feed your little one well. HARD BOILED EGGS – I always have hard boiled eggs in the fridge. I boil at least a dozen at a time (keep in mind, I have a large family) and the kids can grab one easily from the fridge when hunger strikes. I keep healthy snacks on the bottom shelf in the fridge so even my two year old can grab a snack when she wants it. SLICED APPLES WITH NUT BUTTER – This is a simple snack for little ones. Slice up some apples and serve with any kind of nut butter. 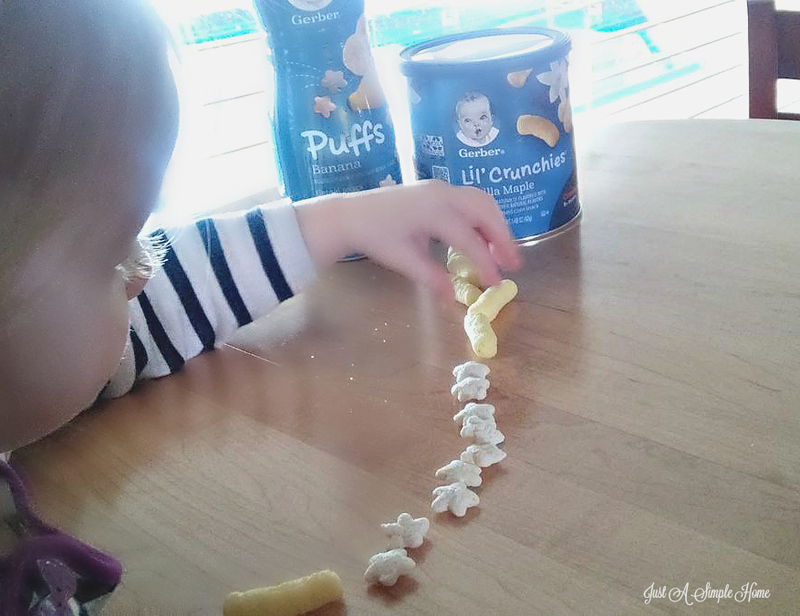 Toddlers love to dip things! PROTEIN SNACK BALLS – This is such a treat for my toddler! She thinks she is getting something really special, and little does she know they are packed full of protein. We both feel good about this one! Grab the recipe HERE. 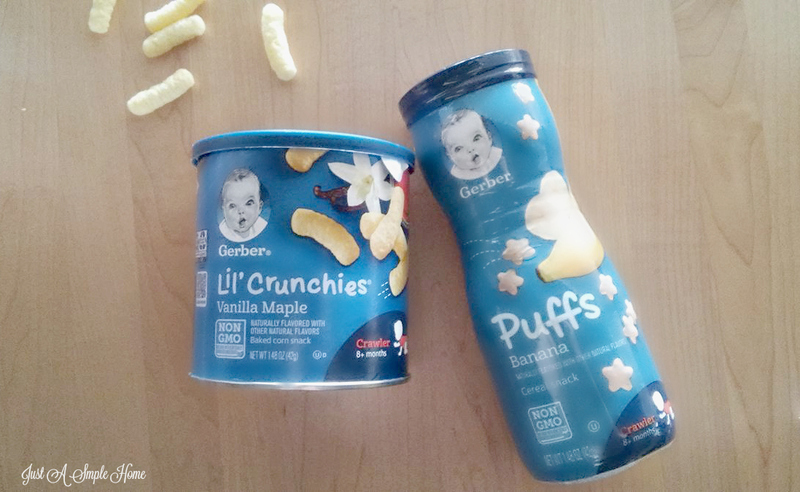 GERBER SNACKS – Gerber Puffs and Lil’ Crunchies are great snacks for your toddler too. They melt in the mouth and are made with whole grains and vitamins and minerals to help support your toddler’s growth and development. My two year old loves these, every flavor, and even my four year old tries to sneak them as a snack. You can grab a coupon for Gerber snacks HERE. Gerber offers nutritious snacks with good for you ingredients like whole grains, real fruit and yogurt, with no added bad stuff (no artificial flavors/no synthetic colors). As a mom concerned with the health of my children, I am so appreciative of this. VEGGIES AND HUMMUS – This is a favorite in our house! My two year old would eat an entire container of hummus if I let her. We dice up some veggies, like cucumbers and tomatoes and carrots, and dip in hummus. OLIVES AND PICKLES – Any kind of olives that your child likes will do here, and you can add some pickles and even some chopped deli meat or cheeses. TUNA WITH WHOLE GRAIN CRACKERS – This is pretty self explanatory, right? GERBER YOGURT MELTS – Gerber gets the win again with their Yogurt Melts. This is a real fruit and real yogurt snack, so I feel good knowing my little one is getting good for her nutrition with her snacks. Grab a coupon for Gerber Yogurt Melts HERE. DICED CHEESE – I buy blocks of cheese and cut them into little cubes, perfect for little hands. TURKEY ROLL UPS – There’s so many option with this snack! Roll up turkey or ham slices with lettuce and cheese, or some hummus or guacamole. Serve with toothpicks for some extra fun for the little ones! FLOURLESS BROWNIE MUFFINS – My toddler thinks she is getting such a treat when she gets one of these muffins. They are really super easy to make and nutritious too! You can get the recipe HERE. Little ones 8-24 months get about 25-30% of their daily calories from snacks. 1/3 of 8-24 month olds are not eating whole grains on a given day. 90% of 2 and 3 year olds fall short on MyPlate recommendations for whole grains. I can feel good knowing my little one is filling her body with nutritious snacks throughout the day. She may not eat all her meals, but as long as she is snacking throughout the day, I can be rest assured as a mom. What are some other healthy snacks your picky toddler loves?